Kayak World Products is happy to offer the famous Stohlquist Maw Glove. Protect your hands while you are paddling from weather or from corns with a marvelous pair of Stohlquist Maw Gloves. 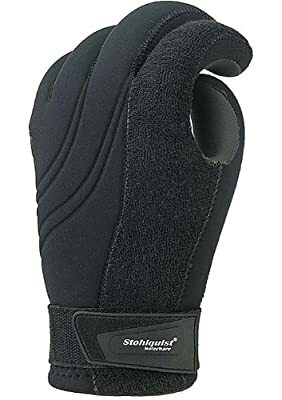 The pre-curved fingers help you hold the paddle firmly and the super flexible 4-way stretch neoprene keeps the glove on your hand creating a perfect barrier between your skin and the paddle. This glove is innovative with the built-in terry-cloth wipe. 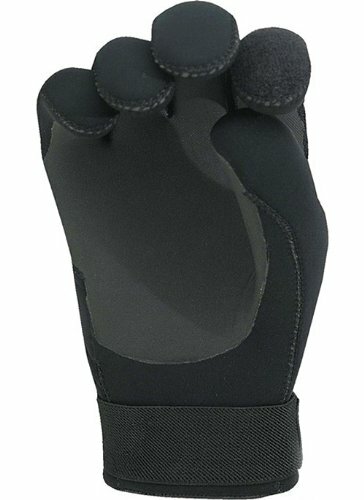 The MAW is a 3 mm 4-way stretch precise paddling glove. Pre-curved fingers provides grip and paddle control while reducing hand fatigue from squeezing. Super flexible 4-way stretch neoprene balances the perfect combination of warmth and comfort. Unique terry cloth brow- wipe is a practical new glove feature.